Colorado art & design goods. Our award winning model provides more capital to local artists & designers to help grow their businesses. The generous consignment model provides 70% of sales back to the maker every month. I Heart Denver Store currently showcases 200+ artists, designers, and creative-focused businesses. That means every purchase keeps growing Colorado's creative economy. Follow our store on social media. We update the feeds daily with new products and announcements. I Heart Denver Store does not maintain a web store. Photographing and editing each item is a big undertaking and the items vary too much to keep it manageable. We are however great at phone orders. If you remember seeing something in store that you really wanted or saw something on our Instagram that you had to have, call the store during business hours and we will set up an order for you. The sales team can also answer any questions you have. 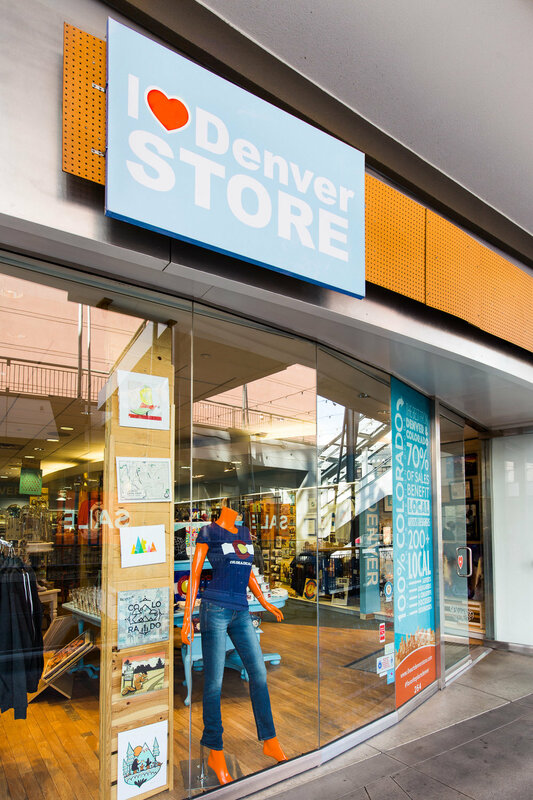 I Heart Denver’s “buy local” business template really works: The store initially showcases Colorado artists, giving them visual merchandising guidance, prime shelf space and a bigger cut of the profits, but it also shows off Denver’s creative face to the world. Returns cycle right back into the creative community, just as it was designed to do. In 8 years of business we have generated over 4.5 million dollars in consignment paid to Colorado artists, designers and creative-focused businesses. That is a huge impact on our local creative economy. The average number of artists and designers represented in each store on any given day is over 200. In our seven years of business we have worked with hundreds more. Our program has grown from a staff of 3 to an average of 12 depending on the season. We are working to be a year ahead of Colorado's commitment to $12 minimum wage by 2020. We will reach that goal and surpass it by 2019 for our part time sales associates.